It’s February and I’m sure you know that it’s time for more freebies from ThemeForest. This time, we have a much more varied selection of WordPress which includes a portfolio site, a multi-concept site and an e-commerce theme. FullPage is a fullPage and fullscreen framework for WordPress. The theme comes with several complete website demos that are updated regularly and can be imported easily to quickly set up your website. FullPage is auto responsive and comes with a large number of settings to truly customise your website. This theme is perfect for personal or commercial websites including small businesses, hotels, web agencies etc. Furthermore, you’ll never have to worry about page speed as the average page size & load time is almost half that of most other WordPress templates! With a clean & beautiful design, Soma offers an easy solution for anyone looking to sell products. Soma comes with a live customizer and WPBakery Page Builder which makes creating your perfect website in just a few steps extremely easy. Moreover, the theme includes a well-organized hierarchy of templates which has made performance and page speed almost perfect. 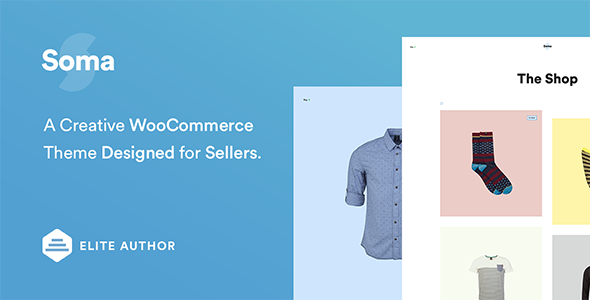 With WooCommerce support, Soma will let you start your own e-commerce site with just a few steps and makes selling products & receiving payments for them extremely quick. 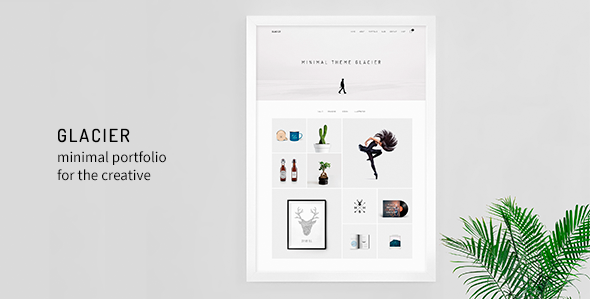 Glacier is a portfolio theme that makes showcasing your projects, products and designs easy. With WPBakery and several plugins, the theme has made creating your portfolio in just a few steps a reality. Furthermore, it includes full support for WooComerce if you wish to sell your products from the same site. Please remember that the last day to download these themes will be the 28th of February. Additionally, you will not receive any updates or support for these downloads unless you purchase the product. If you have any questions or issues, feel free to comment below or send us an email. Having a user-friendly theme is very important for all visitors because it makes the experience of members better. Thanks that you shared about the freebies February as this will certainly help all the bloggers as they can take advantage of these freebies this month. blog and I am inspired! Very useful information specifically the final phase 🙂 I deal with such info much. This article will assist thе internet viewers fⲟr creating new weblog ⲟr evｅn а blog from start to end.